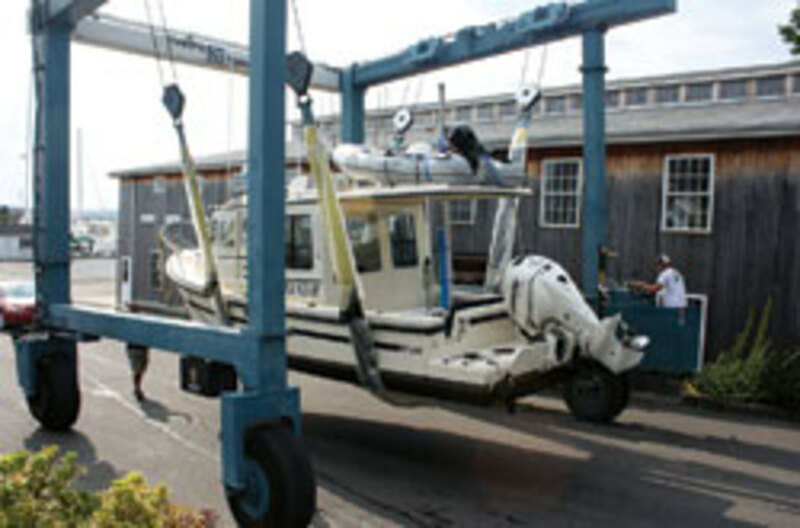 Boatyards and marinas along the Eastern Seaboard prepared well and worked long hours in the days leading up to Hurricane Irene’s arrival in late August, softening the blow of the massive storm. Irene hit the United States in North Carolina as a Category 1 hurricane, with winds as high as 95 mph and driving rain. Similar in size to 2005’s Hurricane Katrina, it was an expansive storm. Hurricane-force winds extended outward as much as 90 miles from the center at one point, and tropical storm-force winds stretched out 290 miles, according to the National Oceanic and Atmospheric Administration. BoatUS estimated in early September that the total damage to recreational boats, excluding marina structures, from South Carolina to Maine could be as much as $500 million. 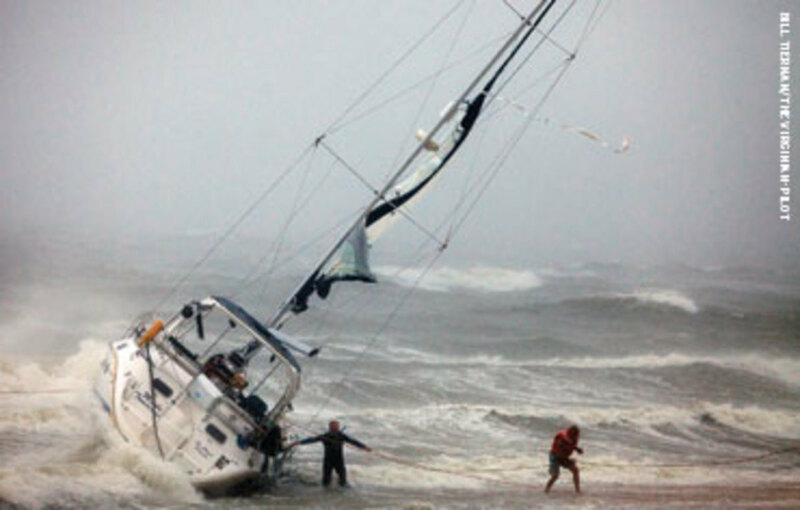 The last hurricane to strike the United States, Hurricane Ike in 2008, was estimated to have caused $200 million in damage to recreational boats, according to BoatUS. 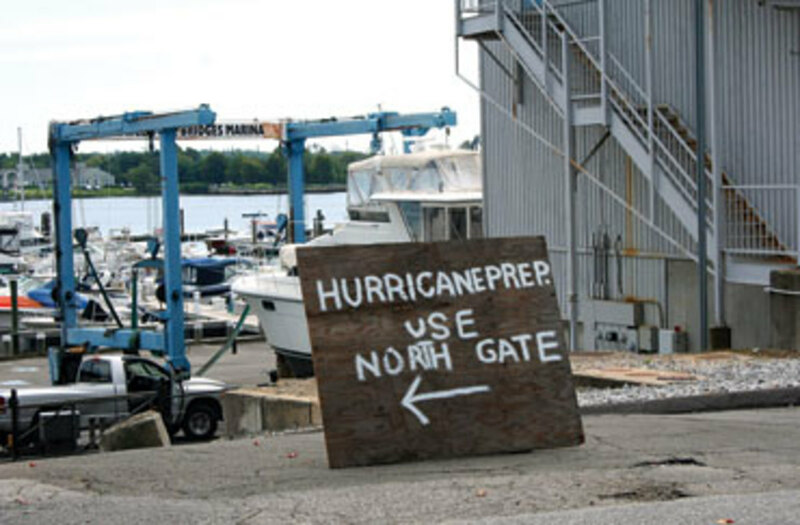 Damage from Irene could have been worse, but many boaters and marinas heeded the advice experts gave before the storm. “It’s a very large hurricane and is going to be moving parallel to the Eastern Seaboard, so everyone on the Eastern Seaboard needs to keep an eye on this storm and be prepared for the eventual impact,” Bill Read, a meteorologist with the National Hurricane Center, said in a report before the storm. “If you can haul your boat, do it,” Jonathan Klopman, a Marblehead, Mass., marine surveyor, advised two days before Irene made landfall. “That’s the best course of action in most places.” Klopman is also a member of the BoatUS Marine Insurance Catastrophe Field Team that recovers and assesses hurricane-damaged boats. He has worked 11 hurricanes. More than 1,000 BoatUS-insured members took advantage of the “Hurricane Haul-Out” feature in their policy that helps defray boat removal costs, the organization says. Most of the marinas in the Manasquan area were buttoned up pretty well before Irene, says Tom Hurst, owner of TowBoatUS Manasquan and Budget Boat Towing and Salvage. “We fared extremely well,” he says. “All the marinas started hauling boats a couple days before the hurricane hit. All of our boat ramps were busy all day and into the evening. Some of the local boat haulers were doing 30 per day. One hauler had 19 scheduled boats to haul in one morning. Hurst says there were more boats high and dry than there are during the winter-storage months. Moran says the storm surge was not a problem. Winds were about 35 to 40 mph, with gusts to 50 mph, he says. “I don’t think we hit 70-mph winds,” Moran says. The marina hauled 55 boats, most of them from 38 to 50 feet. The largest was a 70-footer. Crews moved about 20 boats to safer slips. Damage to the boats and marina was minimal, Breden says. “We lost a lot of dock ramps, but we had only one boat sink,” he says. About 10 days after Irene hit, Allen had taken on 21 salvage jobs. Most of the boats are owned by transients who had rented municipal moorings in New Bedford because of its hurricane-protected harbor, he says. “I think a lot of these boat owners were misled, thinking that because they were behind this hurricane barrier it would be like having their boat on drydock,” Allen says. Instead, many ended up destroyed on the rocks, he says. • Irene was the first hurricane to hit the United States since Ike struck Texas in September 2008. • Irene was the first storm to threaten the New York City area since Hurricane Gloria in September 1985. • On Aug. 27, Irene’s hurricane-force winds extended outward as much as 90 miles from the center and tropical storm-force winds extended outward as much as 290 miles. Irene was similar in size to Hurricane Katrina nearly six years ago to the date. Katrina’s hurricane-force winds extended about 104 miles outward and tropical storm-force winds were felt 230 miles outward. • Flooding records were broken in 26 rivers — 14 in New York, eight in New Jersey and four in Vermont. • An estimated 40 people died as a result of the storm. • About 3.5 million customers were without power; that’s about 9 million people. • 2.3 million people were under mandatory evacuation orders — 1 million in New Jersey, 315,000 in Maryland, 300,000 in North Carolina, 200,000 in Virginia, 100,000 in Delaware and 300,000 in New York City. • 10,000 flights were canceled Aug. 27-28. • Irene will be the 10th U.S. billion-dollar disaster in 2011, breaking the annual record, which dates from 1980. In North Carolina’s Outer Banks, the best course of action is to move boats to more protected areas rather than hauling them, says Sheryl Branstetter, who owns Scott Boatyard in Buxton, N.C., with her husband, Daniel. Hauled boats can float off their blocks and stands if the water rises high enough, she says. To prepare for Irene, the Branstetters made sure their customers were informed of the forecast so they would move their boats. The couple also secured the boats that were in their dry storage facility. Preparation for Irene began a week in advance, Branstetter says. Hatteras Parasail also offers PWC and kayak rentals. The Rosells hauled all of the vessels and dockage — eight floating docks, two ramps, 12 kayaks, three Yamaha WaveRunners and a parasail boat — before the storm. “We have to prepare early because we are so far out in the ocean that we get the effects early,” Rosell says.